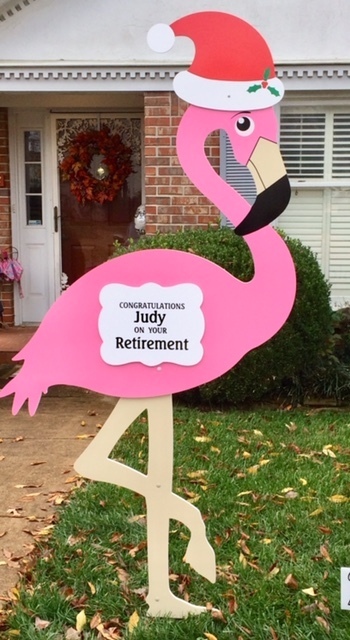 Celebrate completion of a long career with one of our Retirement Lawn Sign Rentals! Our four-foot traditional lawn sign with top banner and room for the most wording. Each of these rent for $65 for 3 days.